Meridian Corner is now under construction, and we have an exciting update from Wesbild’s Shopping Centre Team: we have two great new businesses coming to Burke Mountain! Wesbild is proud to bring Shopper’s Drug Mart and TD Canada Trust to Meridian Corner. 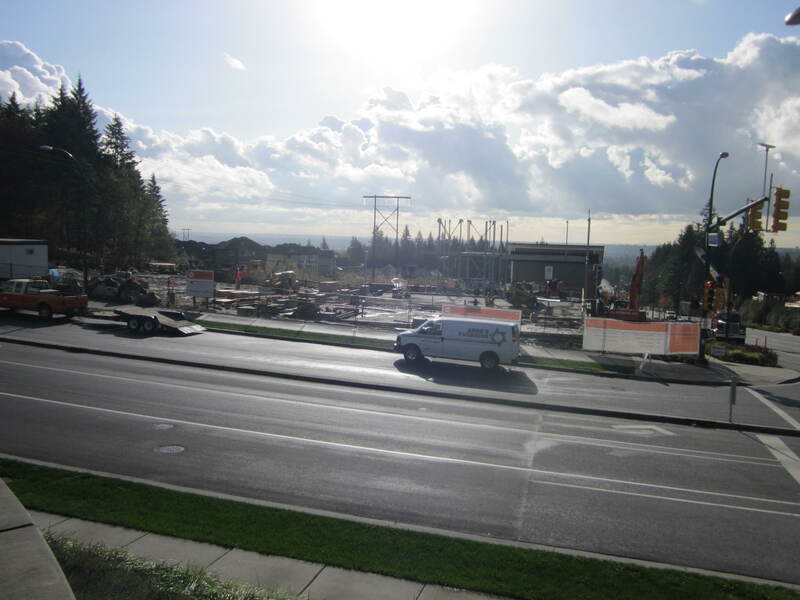 Located on the northeast corner of David Avenue and Coast Meridian Road, Meridian Corner will share many of the same architectural features as Meridian Crossing. Along with Shopper’s Drug Mart and TD Canada Trust, Meridian Corner will feature other services and amenities. More information wil be posted as it becomes available. For information about leasing, please contact Kevin Wong, Director of Leasing at Wesbild, at kwong@wesbild.com. After breaking ground last summer, construction is well underway at Meridian Crossing at The Foothills. 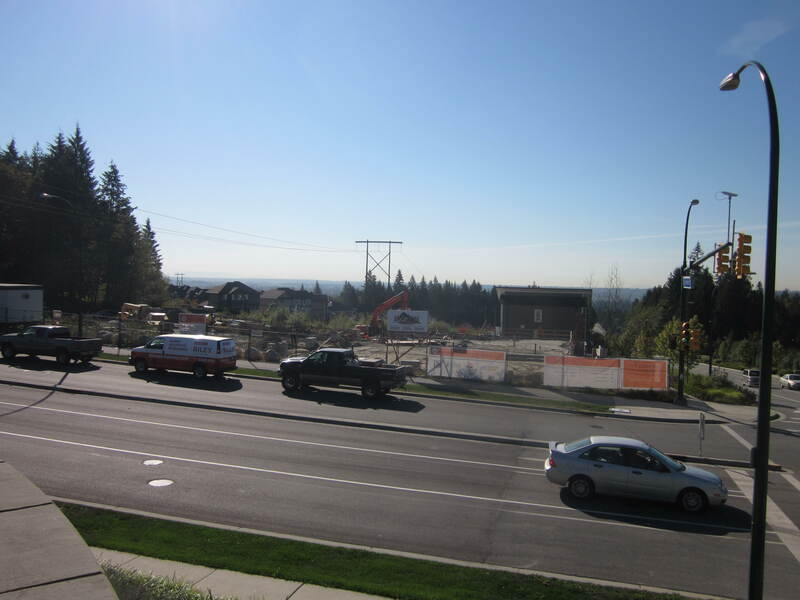 Once complete, Meridian Crossing will be home to 7-Eleven, Subway, Coast Meridian Dental Clinic and cefa (Core Education and Fine Arts) Junior Kindergarten. Construction is coming along on Burke Mountain’s first neighbourhood shopping centre, Meridian Crossing. 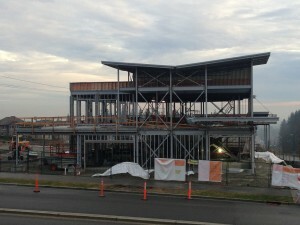 Since breaking ground in July, the centre has taken shape with beams and a roof, as seen in the January 2 photo below. Wesbild is excited to welcome cefa Junior Kindergarten, Coast Meridian Dental Centre, Subway and 7-11 to the Burke Mountain community. Businesses are expected to open this summer. 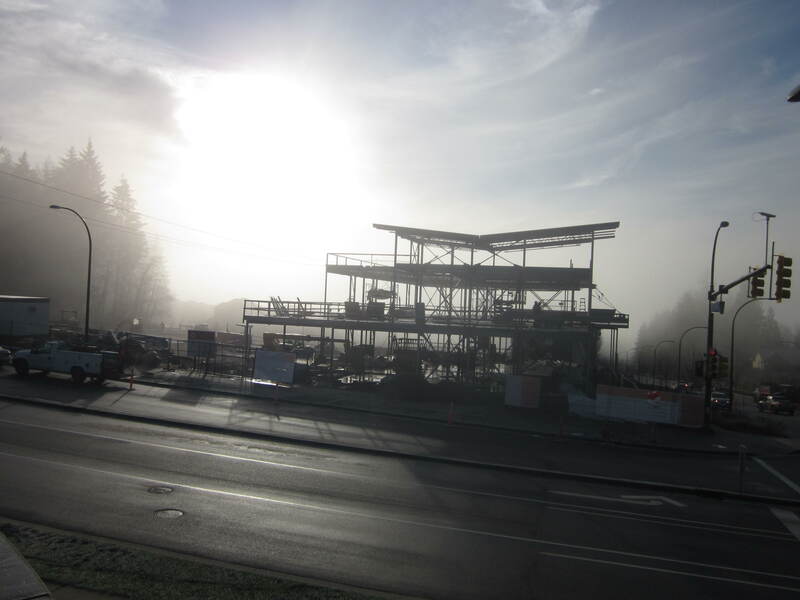 We already know that Coquitlam is a great place to live – but it’s also a great place to build a business! 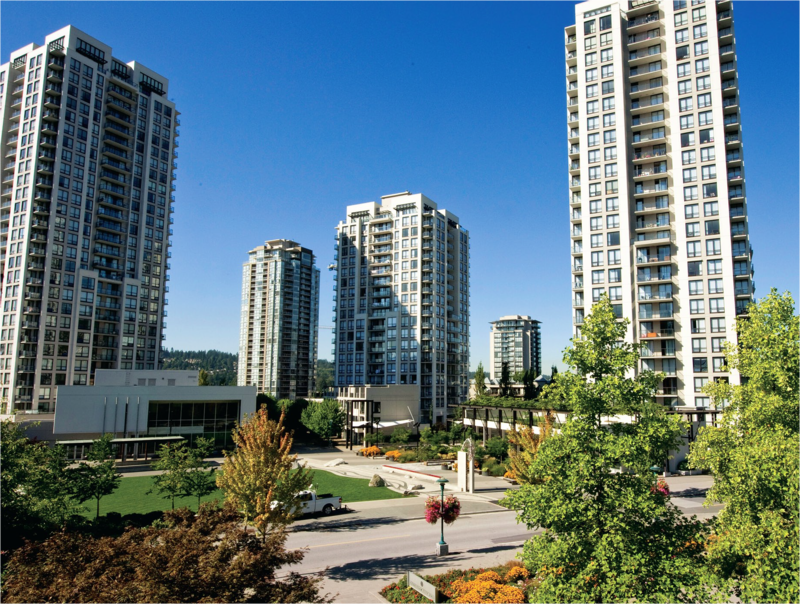 With about 125,000 people living in Coquitlam, the City’s population is expected to nearly double in the next 20 years. 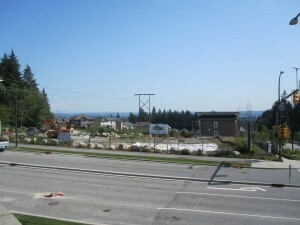 Coquitlam is one of the fastest growing communities in the Lower Mainland. The City’s accessibility is improving with the construction of the new Port Mann Bridge, Highway 1 improvements, the new King Edward Overpass, and the upcoming Evergreen Line. Coquitlam saw record values of new residential and business development in 2011, and has even greater expectations for 2012. In order to entice new businesses to the City, Coquitlam has reviewed thousands of bylaws, dropping outdated rules and regulations, and simplifying others. New regulations have been adopted to welcome and promote the growth of home-based businesses. 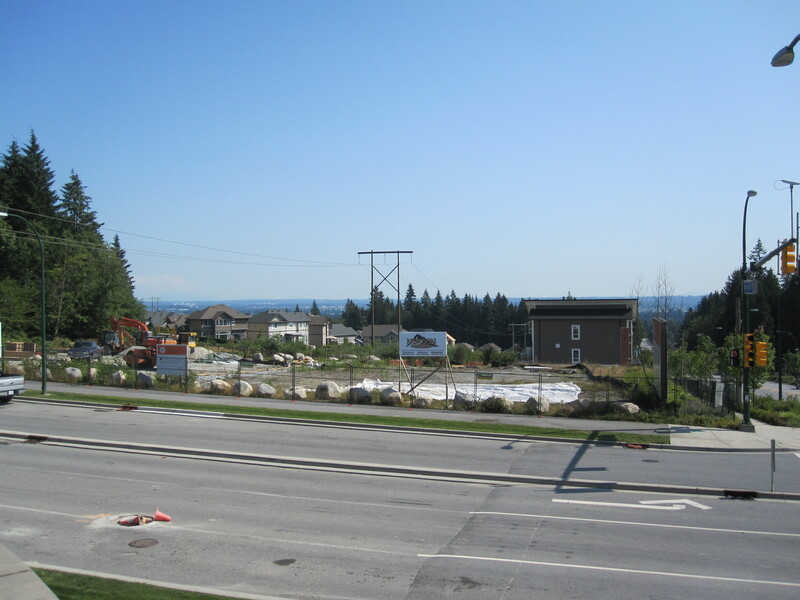 Another initiative to appeal to new buisnesses is the development of QNet, a dark fibre network access in Coquitlam, offering service providers and consumers the most competitive telecom choices of any municipality in British Columbia. The network spans 60 kilometers throughout the City, and allows residents and businesses in Coquitlam to connect to the network and enjoy virtually unlimited connectivity and bandwidth. Click Here to read the article “Growth Opportunities”, featured in BC Business magazine. 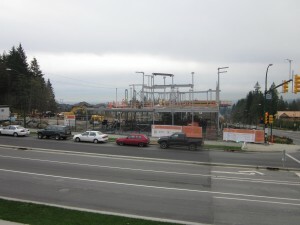 To learn more about business in Coquitlam, click here.